A fully loaded 15-Passenger Van traveling at high speeds have the highest risk of rollover. An unrestrained occupant is about four times as likely to be ejected than a restrained occupant, resulting in a higher number of fatal crashes. 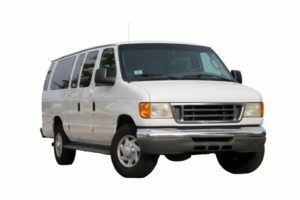 15-Passenger Vans may look like normal cars, but they are nothing like normal cars. Therefore, they can be very dangerous and lead to devastating wrecks. Here are some statistics showing the dangers of improper and unsafe 15PV practices. Between the years of 1990 and 2002, 1,576 15-Passenger Vans were involved in fatal crashes and 1,111 occupants were killed. The amount of 15-Passenger Vans involved in fatal crashes peaked in 1998 at 158 15PVs involved. Among those 1,111 fatalities, 684 were involved in single-vehicle crashes. Of those 684 fatalities,Â 517 or 75.6% were found to be unrestrained at the time of the crash. 371 of those unrestrained occupants were consequently ejected from the 15PV. An unrestrained occupant is about four times as likely to be ejected than a restrained occupant. A fully loaded 15-Passenger Van’s chance of rollover is more than five times higher as to when the driver is the only occupant in the van. A fully loaded 15-Passenger Van traveling at high speeds have the highest risk of rollover. Of the 1,111 total occupants killed, 725 of them occurred because the vans rolled over.